Help us to improve your experience by responding to the online survey. It's Hubble's 15th birthday and we're celebrating by unveiling two spectacular mosaic images from Hubble. Of course you will want to come and see these giant prints in person, but we'll discuss the amazing acomplishments of Hubble during the past 15 years too! It's been three months since the servicing mission. How are all the new instruments working? Join Robyn and Ron with Keith Noll from the Space Telescope Science Institute to find out. 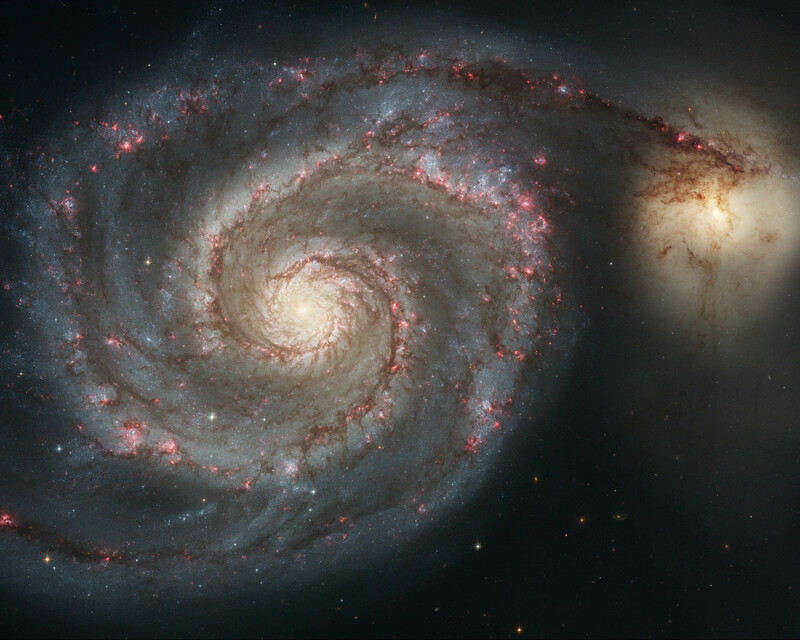 Spectacular views from Hubble's newest cameras! On March 1, 2002, the space shuttle Columbia blasted off the pad at Kennedy Space Center and docked with Hubble 360 miles above earth. Two teams of astronauts spent five days of space walks (known as EVAs or Extra Vehicular Activities) repairing and improving the vision of one of astronomy's most important telescopes. From lift-off through the last EVA, the Exploratorium webcast team took you along on the mission and introduced you to scientists who were anxiously awaiting the new improved Hubble and what it will tell us about the structure of deep space and the origins of the universe. Click below for the archived webcasts. Fresh from the launch viewing area at Kennedy Space Center, Ron Hipschman will show images and recount what its like to watch at shuttle launch from three miles away. We'll also preview the mission and the tasks the astronauts will be doing during their five planned space walks. In an exclusive taped interview, Hubble payload commander and astronaut John Grunsfeld will discuss how astronauts train in a giant pool at the Johnson Space Center for servicing a telescope in space. We'll also show an interview with space engineer Amy Ross filmed in the space suit laboratory at Johnson. Hubble and the "Next Generation"
Find out about Hubble's new solar arrays and talk with Dr. Bruce Margon, Associate Director for Science, Space Telescope Science Institute. We discuss the future of Hubble and it's future replacement, the Next Generation Telescope. Learn about the successful replacement of the Power Control Unit (PCU) and listen as we talk with Mark Clampin, part of the team that developed the Advanced Camera for Surveys scheduled for installation tonight. The Advanced Camera for Surveys (ACS) was successfully installed. In preparation for the installation of the NICMOS Cooling System tomorrow, the astronauts also installed the Electronics Support Module. We also talk with Massimo Stiavelli, a scientist at the Space Telescope Science Institute about his involvement with the ACS and the future Wide Field Planetary Camera 3 (WFPC3) scheduled to be installed during the next servicing mission in 2004. The Near Infrared Camera and Multi-Object Spectrometer (NICMOS) will be brought back to life with the installation of the new experimental NICMOS cryo-cooler. The cryo-cooler updates the technology from that of an icebox to a modern refrigerator. 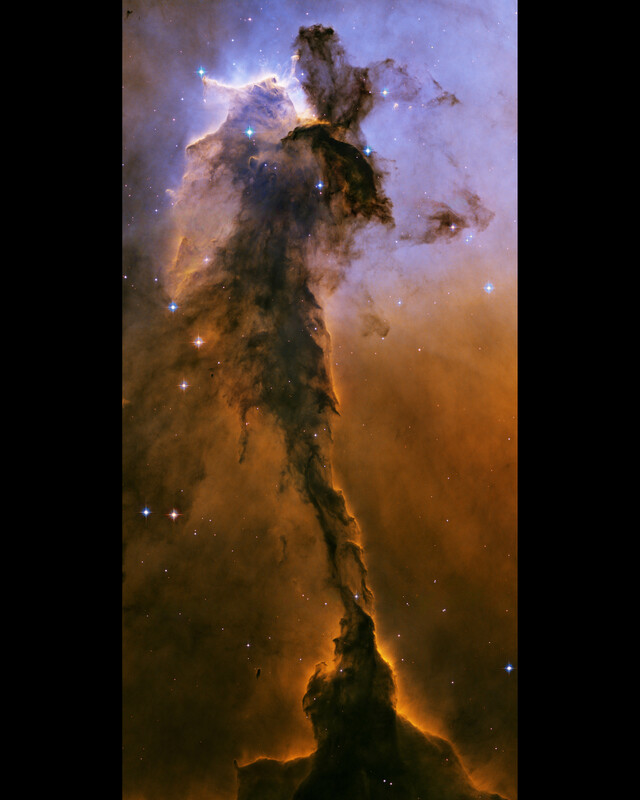 We also talk to Keith Noll, head if the Hubble Heritage Project, which is responsible for bringing us those stunning pictures from deep space. Ron and Robyn sum up the last five days of spacewalks, and show a couple good-bye conferences with the shuttle astronauts. We'll be hosting live, internet broadcasts from the Space Telescope Science Institute and Goddard Space Flight Center in Maryland, and the Exploratorium in San Francisco. Via a live video link, we'll take you on a virtual tour of the scientific and operational activities that extend our vision of space and time. Find out how the telescope sees, who gets to point it , and at what. 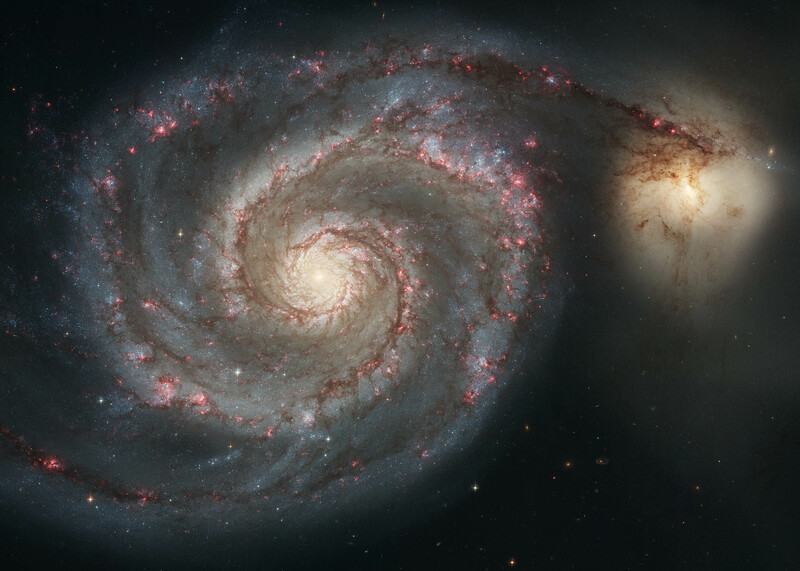 Discover what the telescope tells us about the Universe, its past and its future. Best of all, see the Exploratorium crew in bunny suits, as they tour NASA's clean room and show you new instruments that will be taken to Hubble on the next servicing mission. All times given are in the Pacific time zone. We'll find out what's so special about putting a telescope above the atmosphere, by making a live visit to Flight Operations and talking with scientists who have nurtured Hubble from the beginning. 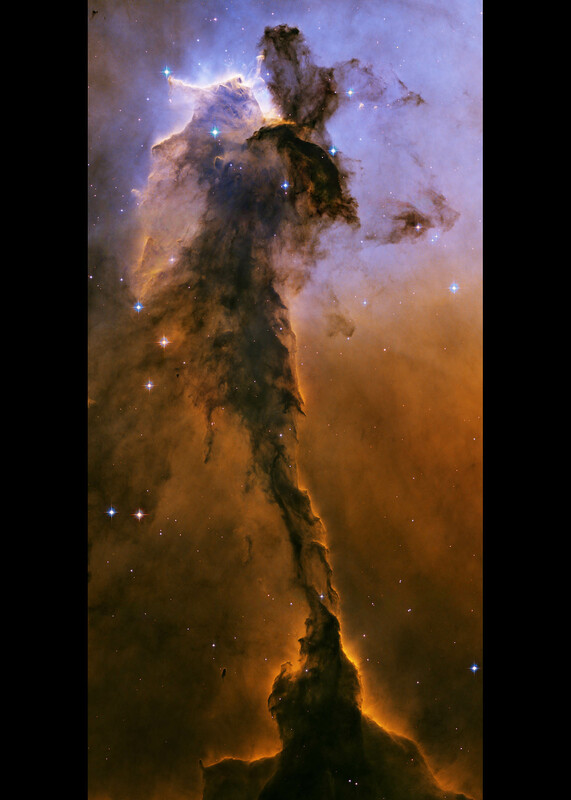 How much time does an astronomer need to get that great picture? We'll talk with scientists about how they determine their experiments, and learn what it takes to make their case for a few minutes of the telescope's time. 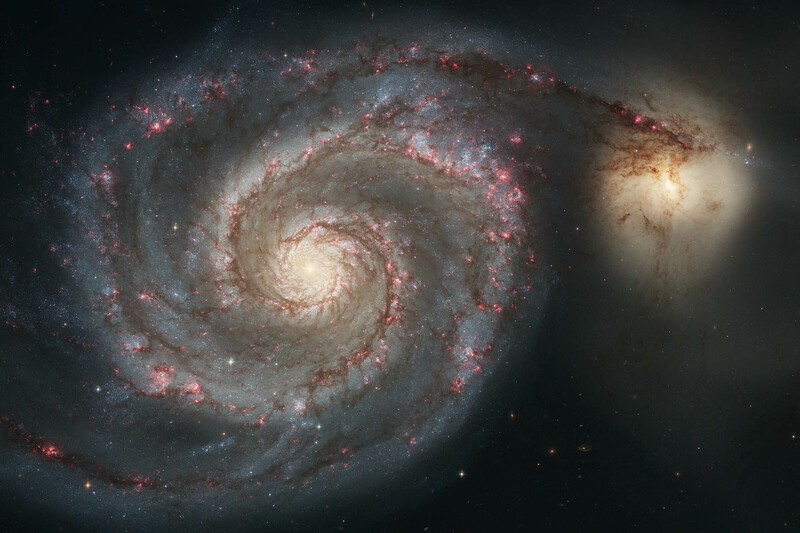 Hubble's pictures have changed our understanding of the galaxy. We'll meet some scientists who will show us how their images have led to knew discoveries. And we'll check in on our own imaging project and track its progress. A unique chance to watch the live progression of the making of a Hubble image! We'll select an image to follow over the course of the following webcasts, showing you the steps along the way as it goes from raw data to a full-color picture. And we'll talk with people who bring Hubble's fantastic images to the public. Part 2 of the previous program. The first-ever live event inside the NASA clean room where space hardware is being prepared for the Hubble Space Telescope. We'll get dressed in "bunny suits" to explore the room and show you the activities of engineers and scientists getting ready for the next Hubble servicing mission in November.